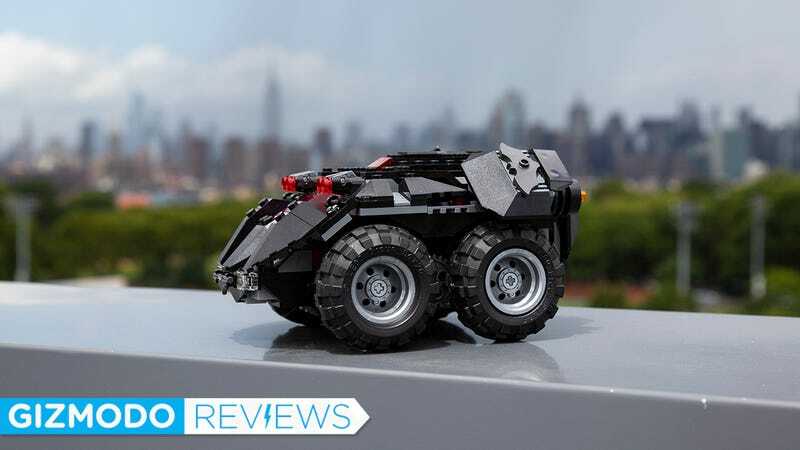 Look how tough Lego Batman looks in the cockpit of his cool car. There’s also a trunk of sorts that folds down in the back and provides access to the cords that connect the motors to the Bluetooth module. 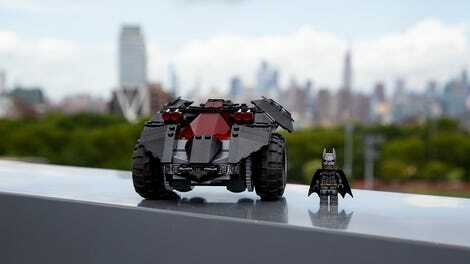 What I’m most excited about, though, is what Lego does next with the Powered Up platform. The Lego Batmobile is fun and looks awesome on my shelf next to my non-Powered Up Ecto-1 from Lego’s Ghostbusters lineup. But what’s next? For me, I’m planning on yanking the motors and Bluetooth module out of the Batmobile and seeing if I can make the Ecto-1 drivable. I’m also really curious to see if Lego makes more complex Powered Up systems that integrate other connected modules, like sensors and switches. After tinkering with the Batmobile, I can’t look at a regular Lego set without wondering what it would be like with robotic parts. I guess what I’m really saying is that I can’t wait until Lego makes an airplane that actually flies.